In 2017, I set a reading goal, to read 30 books in a year. By December 31, I had achieved my goal plus some – 38 books completed. You may remember I set my first reading challenge in 2017, to read 52 books in a year. I accomplished that goal, but decided to scale back in 2017 to allow myself a few more options with my reading that I didn’t feel I had while trying to read a book a week. I use Goodreads, a mobile app (and website) that includes book reviews, recommendations, social sharing with friends and the ability to create a catalogue of books you have read, are currently reading or want to read. I use the app’s Reading Challenge to track my progress. It is also nice to have one place to track recommendations I receive from friends or books I read about that I want to add to my reading list. Another way I used technology in my challenge was in reading the Bible. I used an app called “Reading Plan”. The app provided a year long reading plan broken down by day of the year and averaging 3 chapters or so a day. I then used the “Bible Gateway” app to read the Bible online. The app allows you to chose from different versions, take notes, view additional resources or listen to an audible version. Goodreads also provides statistics about my reading challenge. In 2017, I read 11,507 pages. I was in good company with my goal. In 2017, more than three million readers joined the Challenge and collectively read 45.7 million books with 504,000 readers successfully completing their Challenge. The average books pledged per reader were 45. A few of the books I read showed up on the “Goodreads Choice Awards” including “What Happened” by Hillary Rodham Clinton, “Braving the Wilderness” by Brene Brown and “Option B” by Sheryl Sandberg. I am a frequent library visitor and this year was no exception. I also bought a few of the books that I knew I would want to keep in my personal library from my local independent book store, Quail Ridge Books in Raleigh as well as some I ordered from Amazon. I visit used book stores and thrift stores, especially when I travel, which is why some of my picks may seem random or dated. When you write your goals down, you are more likely to accomplish them. Or at least that’s what the experts say. That certainly seemed true with my reading goal. I was intentional about reading. I chose to watch less television and to read fewer magazines and web stories so that I could focus on books. There are many ways to set your own reading challenge. Goodreads is an excellent tool; however, I’ve seen book journals that encourage you to list books you’ve read along with notes or quotes. You can embark on a plan to read a certain number of books, books from new or different genres than your usual reads, or take a tour through classic literature, perhaps re-reading some of those high school assignments that once seemed like a chore. You can easily find lists of recommended books. Goodreads has multiple lists such as “books that everyone should read at least once”. If you spend a lot of time in your car, audio books might be a great choice for you. I mentioned Ann’s blog last year when I wrote about my challenge. If you haven’t read it yet, check it out, along with her book reviews. I made a new reading resolution for 2018. Reading 52 books in 2016 required discipline and it somewhat limited what I read. After some internal debate, I have set my Reading Challenge once again at 30 books for 2017. 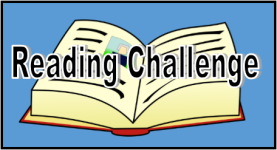 As of March 5, there were 2,077,764 participants in the 2018 Reading Challenge. On average, readers set their goal at 47 books and pledged to read more than 35 million books. Join me in setting your own reading challenge for 2018. Check back tomorrow as I discuss some of my favorite books and on the final day I will share my book list and reflections from my year in books. 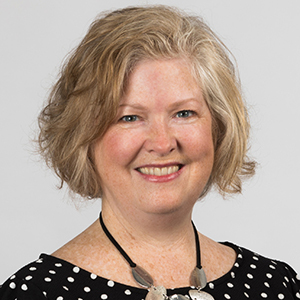 Camille Stell is President of Lawyers Mutual Consulting and Services, offering succession planning, business development coaching, keynote presentations and more. Continue this conversation by contacting Camille at camille@lawyersmutualconsulting.com or 800.662.8843.